Hi, everyone! Happy Sunday. I hope you are all having a restful and productive weekend thus far. Tomorrow, Monday, March 5th will be the official launch of the 2018 Science Fair season for all of my classes. On that day, all four of my classes will have started their projects that will be presented on April 23rd during a collaborative Science Fair and Earth Day celebration. This week, I reflect and discuss on the four projects that my students are currently engaged in. Enjoy and let me know if you have any questions or comments! My 6th Grade Science Fair project was inspired by a trip I took in January 2017 to Biomuseo in Panama City. More specifically, I was inspired a very simple exhibit, The Gallery of Biodiversity, that was composed of various plaques with details of various species of their conservation status. Their status was color coded so that warmer colored plaques (reds and oranges) were more threatened of extinction while cooler colors (yellows and greens) were less threatened or not at all. While my students will not be doing a project reminiscent of this, like I said, it was certainly inspiration. My students will be put into groups of 3 or 4 and assigned a country widely known to have a high abundance of endangered species. From there, they will research six IUCN listed species whose range includes their assigned country. Students main source for research will be the wonderfully informative World Wildlife Fund. They will record information such as the conservation status, life cycle, diet, adaptations, reasons for population decline and efforts meant to combat those trends. Additionally, they will also do some basic research on the country assigned to them. They will take note of average climate throughout the year, cultural sights, sounds, and smells, and travel requirements for U.S. citizens. The final product will blend their animal and country research together in the form of a travel agency promoting an eco-tour of the regions in which their endangered animals can be found. For the science fair, students will advertise and market their tours to the audience using Google’s Tour Builder and advertisement flyers designed on the web-based tool, Canva. Sustainable Cities is an engaging project in which students are a mixture of urban planner, engineers, and ecologists. After an in-depth review of non-renewable and renewable energy sources, students are put into the role of designers of a brand new sustainable city development. Now in my third run of facilitating this project with 7th graders, I have decided to add some new collaborative elements special to this year’s science fair. After a productive discussion with my science teaching parter, who teacher the other half of 7th grade, we decided to form a collaborative dynamic between the two classes. My teaching partner’s class is currently preparing for the science fair by conducting group research and experimentation on various earth science topics (glaciers, volcanoes, earthquakes, etc). My groups of students will be assigned various country in which their sustainable city will be developed thereby limiting their options on which types of energy sources they can use. For example, students based in the Sonoran Desert of Arizona will have a wonderful time utilizing solar energy but have a harder time utilizing hydropower. Those based, say, in the Olympic Peninsula will see virtually the opposite. Starting tomorrow, groups from either class will be paired together dependent on both group’s country / earth science assignment. The group assigned to research glaciers will be paired with my group who has been assigned Iceland as their home country due to the high presence of glacial features in the country. 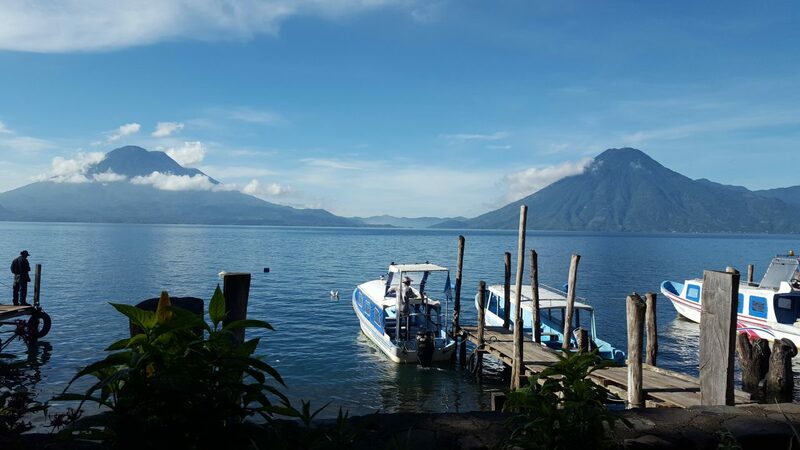 Those based in Guatemala will partner up with the group researching volcanoes and earthquakes because of the abundance of such phenomena in the Central American country. For the science fair, groups will build a model city (think scaled down to humans = Godzilla) highlighting both their measures to become 100% sustainable along with the geological and topographical features found in that world region. After some stressful (for the students) lessons and a big test on Mendelian genetics, my 10th graders are ready to begin their science fair projects. I was having a tough time developing ideas for a project, but a quick discussion with my teaching partner put me in the right direction. My inspiration for this project initially came from the Choose Your Own Adventure (CYOA) book series, believe it or not. Students are in groups of three and have been assigned a set a five chromosomes found in the human body. The first step for them is to read the chapters respective of their chromosome assignment of Genome: The Autobiography of a Species in 23 Chapters by Matt Ridley. The book beautifully breaks down each of the 23 chromosomes in detailed, scientifically-accurate chapters. Second, students will the National Center for Biotechnology Information’s Chromosome Map to discover what diseases could result from either inheritance or mutations on each assigned chromosome. While the plan is still very much in the early stages, students will create a CYOA-type presentation to engage the audience of the science fair. The audience will be provided a healthy chromosome in which they are then presented with multiple scenarios to choose from. Depending on which route they choose, they could end up with a mutation that encodes for a specific disease found on that chromosome. From there, and if the disease is contracted, they are then to decide how to proceed with each step providing multiple scenarios to choose from. When will I see a doctor? How is the disease diagnosed? What treatment or medicine do I need to take? What are the side effects of that treatment? What happens if I do not treat the disease? Students will be given the choice of how to present the CYOA story to give them some extra freedom. I have already had a recent blog post discussing this project so there aren’t really any new updates as of yet. Students will continue to design, redesign, and redesign again until their product is just right. This week, they will start to work on their strategies to market their product including product names, logos, and social media. Hey, everyone! This week, I will be discussing what I think are the four best online stores for purchasing science lab equipment of all types. I have experience working with and/or purchasing from all four companies in either an educational or industrial setting. Enjoy! Probably the most well-known and certainly the most universal is Carolina Biological Supply Supply. Commonly referred to as just Carolina in the science education community, the most enticing aspects of the company are their prices and their availability of resources from virtually all science disciplines. I have personally purchased products from Carolina and, from personally experience, do not let the price deceive you. Their products are great quality. My purchases include simple Eppendorf tubes (which are really hard to produce low quality), forensics tools, and specimens for dissection. Educators can even purchase live organisms, if need be! Categories of live organisms on the site include animals, insects, fungi, prokaryotes, plants, protists, and protists. Since handling and shipping live organisms has strict regulations, Carolina was smart enough to include regularly updated USDA permits to stay compliant with local and federal laws. The company even offers products for distance learning “with more than 190 hands-on investigations” available for purchase. This is perfect for those homeschool teachers or students taking online classes. Carolina also benefits the international education community. Living in Guatemala makes finding quality laboratory resources rather difficult to find. Even if you do, the materials are not cheap. I personally have communicated with Carolina representative of Guatemala for purchasing equipment and their boundaries extend across the entire globe! Most Specialized: BIO-RAD LABORATORIES, INC. The next on the list, Bio-Rad Laboratories, is a supply company that specializes in the life sciences. I only have one purchasing experience from Bio-Rad, but the quality was superb! Back in 2014, I bought the pGLO Bacterial Transformation Kit for my 11th Grade Biology class. pGLO is a green fluorescent protein (GFP) that is actually trademarked by Bio-Rad themselves. The premise of the lab is that E. coli cells are innoculated with a plasmid containing the GFP that was originally isolated from the jellyfish Aequorea victoria. Having never conducted the lab previously, I was definitely a little nervous that it would not work. Lo and behold, virtually all of my lab groups had a successful E. coli transformation! This clearly shows that Bio-Rad’s products are certainly of high quality. Bio-Rad also offers products for clinical diagnostics, spectroscopy, and, most uniquely, food science! I have not had any personal experience with Fisher Scientific in an educational setting but rather in a professional setting. When I worked as a research assistant studying the ecology of fungal endophytes at the University of Arizona, there was plenty of Fisher Scientific equipment in the lab. As with most science equipment in academia and industry, it was of the highest quality. The Fisher Scientific Education website offers products for the scientific disciplines of biology, biotechnology, chemistry, physics, and earth and environmental sciences. If you are looking for higher quality products, if you or your school can afford it of course, then this is your stop! Possibly the best perk of the site is its Education LabOutfitter. This tool is best used for those who are either homeschooling students or working at a new school who is on the search for supplies. The LabOutfitter creates recommended product lists that is customizable by many different categories including grade level, subject, and class size! A great place to start if you are in this situation and at a loss of where to go. MOST AFFORDABLE: NEW ENGLAND BIOLABS, INC.
Based in Ipswich, Massachusetts, New England BioLabs (NEB) is by far my favorite on the list. At first glance, you may wonder why as it is chock full of products for applications that go way above level of the average middle or high school student. In fact, if a teacher does not have professional experience in some of these applications, it may go over their head, too! Right away you see that their product offerings are for tools such as genome editing, epigenetics, cloning, and glycobiology. Where NEB shines is this – providing reagents and technical support to high school and collegiate teaching labs absolutely FREE. This is no joke. I have requested PCR reagents and enzymes and received them promptly and securely. The downsides to this opportunity is that (1) your classroom must be equipped with the correct equipment to use these reagents (think PCR machines and gel electrophoresis) and (2) the selection of free product is not open to their entire catalogue. The educational support request form is extremely simple to fill out. On the form, you need to provide basic shipping information, published protocols and procedures that your course will use, and which products you are requesting. The form does state that “requests for items not on the standard list will be considered, but will be delayed due to the need to review the request.” I have not yet had experience with this, but imagine it is not that difficult. Last week I updated you on the ongoing forensics project. This past Monday, the students setup their crime scenes in various places around campus – four to be exact. It is very quickly turning out that this may be the project in which I have seen the highest amount of engagement from the most amount of students. I couldn’t be more excited about it all! On Monday, the students meticulously assessed their assigned crime scene. Photos were taken from all angles. Gloves were worn and tweezers were used to prevent the tampering of any potential evidence. Artists sketched the scene on the sidelines. The lead investigators all did a phenomenal job managing their team so they could collect the evidence in the most careful way possible. After collection, they filled out Single Evidence Collection Forms and Chain of Custody forms to document the details and handling of each piece of evidence. From there, they began their analysis! During the past week, students have been running around interrogating their suspects through hair collection, fingerprinting, feet measurements, and handwriting. All four groups have leads towards one major suspects but some groups are still debating between others that they are unsure of. Come Thursday, lead investigators will present their case in front of a panel of experts (teachers). To convince the panel, the Case Analysts and Case Managers must successfully put together a 2-3 page paper describing how they reached their conclusion and a visual that will support the lead investigators presentation. That being said, we’ll have an update with the final results next week! Stay tuned! Good morning, readers! It’s been a little too long since I’ve posted, about 4 weeks I think. After a bit of traveling throughout Central American over Christmas Break, school is back in session for probably all of us. I wish you all the best in the second semester! Back in November, I posted about the first ever PBL project that I ever completed in my first year of teaching: forensic science. I’m here with a quick update to discuss the details of my project that is now for sale on my TeachersPayTeachers store. The new Forensic Science Project Bundle includes everything you need to launch your very own CSI project! The project opens with a PowerPoint and discussion about the types of forensic evidence that could be found at a crime scene. This refers to the categories of evidence, not specific pieces of evidence. Secondly, the students dive into a wonderful RadioLab episode about Otzi the Iceman in which they listen and try to write down the pieces of evidence that were found at the scene. Afterwards is where the fun starts! The Forensic Fiber Analysis lab is the perfect way to get students engaged in the labs – lighting things on fire! Students will determine an unknown piece of fabric by conducting burn tests on known pieces of fabric and recording their observations. They will observe the burn tests using all their senses (minus taste, of course) to see how the known samples match up to the unknown sample. The Forensic Fingerprint Analysis lab is the class go-to method of forensic analysis. I guarantee you that if you were to mention “forensics” to your students, the first things they will think of are either DNA or fingerprint. The only additional speciality material that you’ll need is a fingerprint ink pad which is available on Amazon for cheap. Students will be taught how to closely observe their own fingerprints to look for their basic pattern and, more importantly, their more detailed ridge characteristics. Fingerprint analysis takes tons of patience and close observation which is perfect for the science classroom! The Forensic Hair Analysis lab gives students the chance to observe their and their peers’ hairs under a microscope. They are first introduced to the hair growth cycle and hair anatomy to use as background knowledge. Hair is a very common piece of trace evidence that is left behind at crime scene, so they have the potential to be crucial in the solving of a case. Students will be taught what visual characteristics to look for when differentiating between known and unknown samples. The Forensic Handwriting Analysis lab introduces students to handwritten notes that could be left at a crime scene. While it is very easy for criminals to forge handwriting, this lab gives the students a note found at a crime scene and 5 suspects’ handwriting to compare it to. They are to closely analyze the loops, patterns, dots, crosses, and everything in between to see which suspect matches the unknown sample at the crime scene. The Forensic Footprint Analysis lab engages students by having them first measure their height and length of their feet. From there, they measure their stride length. Using these measurements, they can easily calculate two ratios so that, if they were to ever encounter a crime scene ;), they could estimate the approximate height of potential footprint found at the scene.